For anyone that has special women in their lives, albeit it husbands, boyfriends, girlfriends, parents or simply friends, there is nothing more touching than giving the gift of adventure. Holiday River offers several rafting trips that are designed specifically for women, offering spiritual and physical retreats that are cleansing, purifying and rejuvenating. 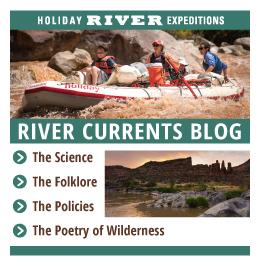 Women’s Salmon River Canyons – This river yoga trip focuses on the striking balance of Idaho’s primitive, unexplored wilderness. With a focus on harmonic strengthening, breathing, relaxation and meditation, guests will feel their minds, bodies and spirits be uplifted and rejuvenated. Allowing women to escape their hectic, busy lifestyles, this trip offers yoga, massages, pedicures, mud baths and healthy organic meals. Most importantly, this trip offers women the opportunity to bond with others, sharing wisdom and much-needed support. Highlights include Green, Cougar, Snowhole and Blue canyons, rolling mountains, sheer rock canyons, white sandy beaches and roller-coaster white water rafting rapids. Women’s Lodore Canyon – Combining intense yoga with nature’s bountiful goodness, this trip down the Green River highlights lush green forests and striking, steep canyon walls. Yoga exercises focus on strengthening women, calming minds and rejuvenating bodies. A quite, undeveloped area that fosters deep thoughts, empowerment and transformation, women learn to relax and become at one with nature, embracing the sensuality of nature’s peaceful melodies. Highlights include wildlife observation, side canyons and heart-pounding class IV white water rafting rapids. Women’s Cataract Canyon – Embracing the mind-bending power of yoga and the physical beauty of nature’s raw wilderness, this trip is relaxing and energetic, helping women feel renewed power. An excellent trip that quickly sells out, this tour highlights classic red rock canyon walls, large sandy beaches, side canyon hiking and allows guests to plummet into the heart of the infamous Canyonlands National Park. 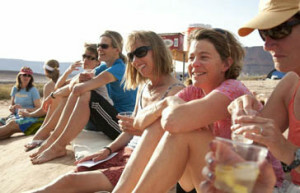 The aforementioned yoga excursions are perfect for mothers, daughters, sisters, grandmothers, friends and even strangers. Tailored to address the unique needs of women, these tours explore the ancient benefits of hatha yoga, massage therapy-healing techniques and renewed comradery. Additionally, these trips feature Stacy Petersen, a renowned yoga facilitator that focuses on helping women create deep spiritual connections with nature. She holds a BFA in Modern Dance from the University of Utah and is the recipient of a Yoga teaching certificate. As a developer of Earthflow Yoga, her unique classes feature flow, physicality and introspection, all fostered by a deep-rooted relationship with nature and the Earth. As an Oneness Trainer, Stacy has traveled to India and completed both Level 1 and 2 Oneness Programs and is currently pursuing obtaining certification for children’s yoga.